St. Edward’s has a long and active relationship with providing volunteers and goods for Bridging, a local 501 (c)(3) non-profit organization. 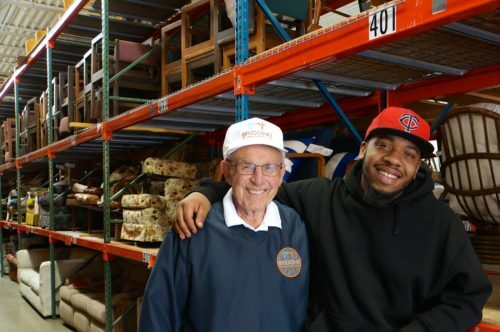 As the largest furniture bank in North America, Bridging provides furniture and household goods to families and individuals transitioning out of homelessness and poverty. Sometimes people just need that extra step up, to help them get back on their feet. Bridging helps people who can finally barely afford their own home to be able to furnish it as well, so they do not have to live in a home bare of the basics. Many volunteer opportunities are also available, including: on-site, off-site, large group and small group. Join the ranks with so many St. Ed’s parishioners in volunteering for Bridging! Visit www.bridging.org to view a full list of acceptable items, donation locations and hours, and volunteer opportunities. Donations are accepted at both locations during drop-off hours and fee-based pickups are also available. 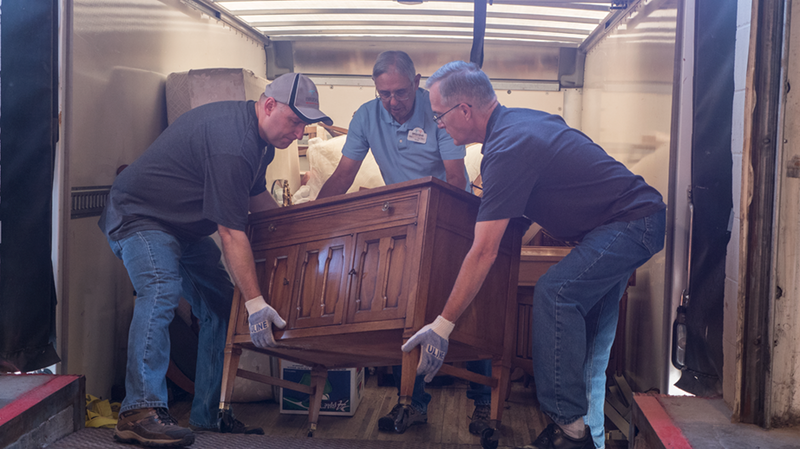 Read about the 2015 event where St. Edward volunteers built 76 Dressers! For information about currently planned Bridging projects, contact Jerry Grebin.